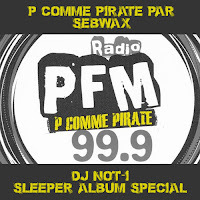 On Friday, Feb. 6, 2015, French bootleg/mashup legend and radio DJ, Sebwax, dedicated an entire episode of his live radio show ("P comme Pirate" on PFM 99.9 / Arras, France) exclusively to DJ not-I mashups from Collected Mashups Vol. 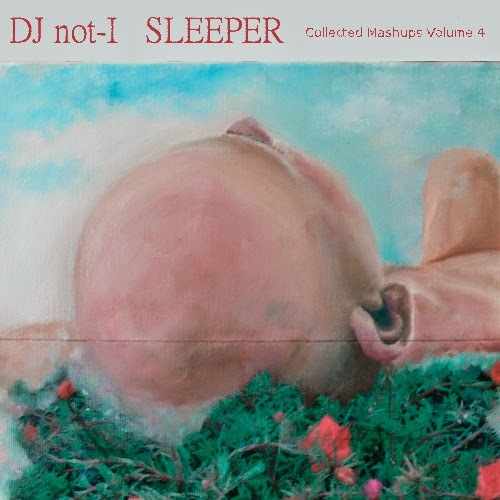 4: Sleeper and plugged them, the album, and various not-I websites like crazy. Here is the show, re-uploaded to my Mixcloud. If you don't understand French, it doesn't matter, it's mostly (my) music anyway. And if you do, it's even more fun. Enjoy! Sebwax has been doing his radio show, which highlights quality mashups and bootleg culture with expert insider commentary, as well as been producing his own beautiful mashups for almost more than ten years now, so it was a great honor to receive a full feature. You can check out several of his latest shows on Mixcloud.